This 18k I.D. bracelet was made in Italy. It would make a great communion or confirmation gift for a young boy who can wear it as he gets older since it can be closed in any link. All prices are in Canadian dollars. 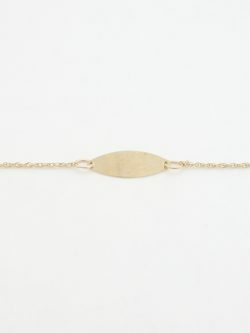 This solid yellow gold 18k bracelet is simple and charming. It was made in Italy and a great gift for any man or woman. It can be worn as is or charms can be hung on it. 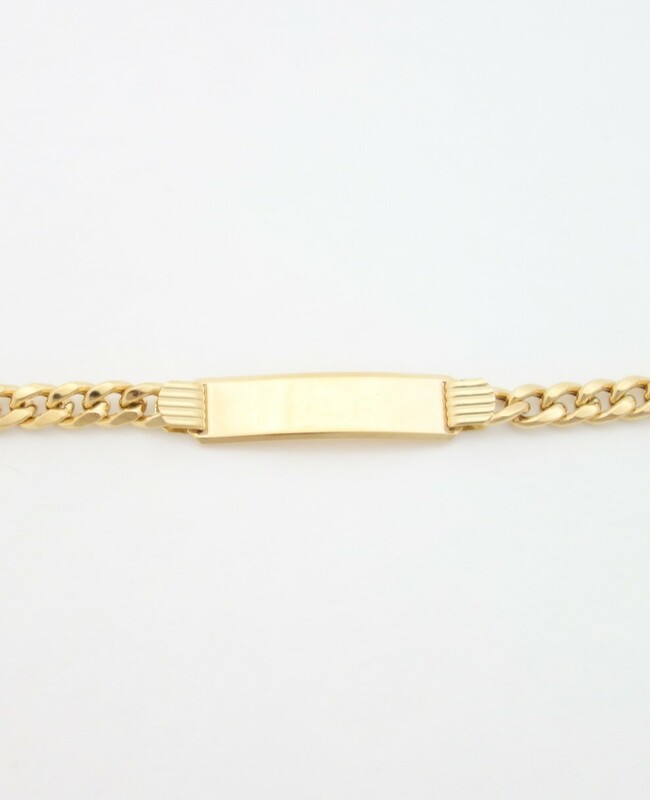 Length of Bracelet: 8 inches* Width of Bracelet: 3.75mm* *all measurements are approximations. All prices are in Canadian dollars. 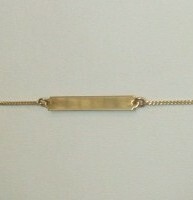 14k ladies yellow gold bar bracelet. It's simplicity allows you to wear it alone or stack it with other bracelets. A great gift to give to a new mom that you can later engrave with the baby's name or just treat yourself. Length: 7.5 inches * Width of bar: 3.5mm* *all measurements are approximations. All prices are in Canadian dollars. 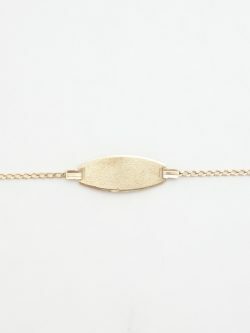 Simple 10k bracelet has a matte finish on the front of the I.D. plate while the back of the plate has a polished finish. 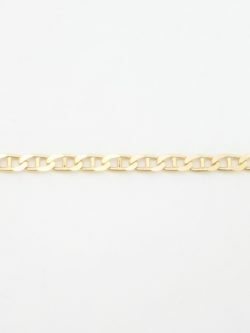 Length of Bracelet: 6 inches* Width of Bracelet: 1.5mm* Length of I.D. plate: 24mm* Width of I.D. plate: 10mm* *all measurements are approximations.